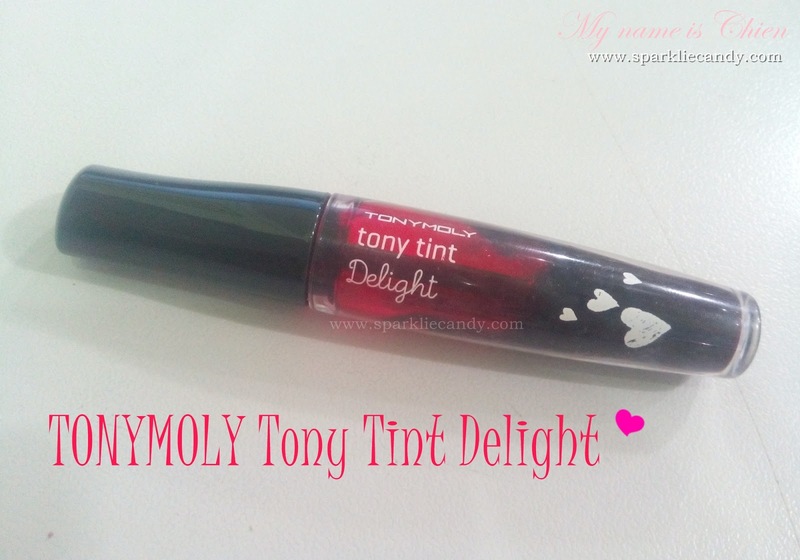 TONYMOLY Tony Tint Delight in Cherry Pink is our product for the day. I have this tint for a while now. I got it last Dec 6, 2016 from Tonymoly store in SM Manila. They actually have a 2 shades more and I am also thinking of getting those. Orange for fresh daily look and red for Snow White look. Yay, so credits to Tony Moly for the photo below, click to enlarge. From Tony Moly: A refreshing multi-tint with fruity scent that can be used on the cheek and lips. A refreshing multi tint with fruity scent that can be used on the cheeks and lips. Apply on the center of the ,lips and spread it outwards. 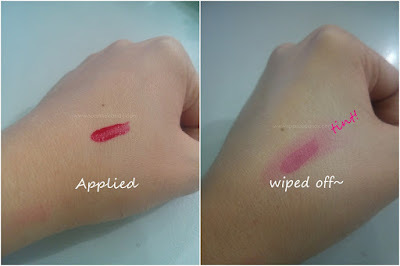 A liquid consistency type of multi-purpose tint you can use for the lips and cheeks. I think this is a repackaged version of the Tony Moly tint before. The one used by Geum Jan Di (remember her from Boys over flowers?. 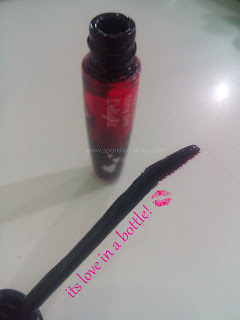 It is in a simple plastic tube but the cap is cute, lookie a heart over here! It comes with a doe-foot applicator just like a typical lip tint. I've honestly missed this tint. I mean come on, this is like a go-to color for natural looks. Meh, although I really like peach for the lips, tint would always be a great option when you want to look all prepped up but do not want to look washed out with pale colors. I often just use it alone. Or if I feel adventurous I apply it on top of my lipstick for an added oomph. Gradient lips anyone? It doesn't stay long and is easily gone after eating/drinking. However not a biggie if you have time to reapply. One thing I have to say is that the name on the body of the tube is easily removed. There was also one time on December when the tint messed up my kikay tube because it leaked! Yikes. Yes this is my favorite lip tint so far. And even though I bought other brands I still came back to Tonymoly. Is this true love? Its bang for the buck already, if not for the broken cap I feel bad for the spilled tint on my kit. Love love this TONYMOLY New Delight Tony Tint in Cherry Pink, will surely buy the other shades soon.